If you aren’t using Facebook as a tool for growing your client base then you’re missing an opportunity to turn prospects into customers. There are several ways businesses can use social media to generate leads, but today let’s focus specifically on Facebook. Here are the top three ways to use Facebook’s advertising platform as a leads generator. Add a tab. 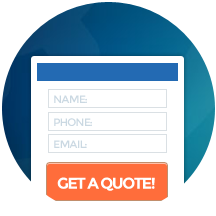 Creating a “contact us” form on your Facebook Business Page, for example, is one way to turn visits to your Business Page into potential customers. Each tab has its own URL, so using this link with a strong call-to-action in your posts can drive people to the tab for maximum exposure. There are free tools, such as Pagemodo, that provide free templates like the one below. Or, if you have the in-house resources or you work with an online marketing agency with web design & development and social media services, you can create a custom tab that is specific to your needs and consistent with your website. Create unique content that links to a landing page. By creating content such as whitepapers, webinars, and checklists that are useful to your audience, they are serving double duty. Not only are you establishing your brand as a thought leader in your industry, but you are also developing opportunities to generate leads. ✓ First, you’ll need to create a landing page where visitors are asked to fill out a form in order to access the content. ✓ Next, create a valuable piece of content that is unique and useful to your target audience. ✓ Then write social media posts that promote the content and link to your landing page. The posts should describe the value the content provides and include a strong call-to-action. Take this one step further and boost these posts using Facebook Promoted Posts for maximum exposure – and ultimately, more leads. 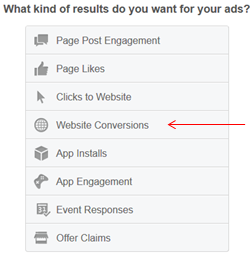 Create Facebook ads optimized for conversions. While we’re on the topic of landing pages, go the extra mile and set up a Facebook ad optimized for conversions. For the best results, try all three of these methods for generating leads for your business. If you need help creating tabs, setting up landing pages, or determining your creative & copy for Facebook ads, rely on expert online marketers and contact WebiMax today.